Shock and disgust were some of the emotions expressed Monday by people living near a childcare center in Boyle Heights where one of the owners is accused of committing lewd acts on three children. Enrique Ramos, 45, was arrested last week and has been charged with three counts of lewd acts on a child under 14 years of age. He is accused of molesting three different girls and faces a maximum sentence of 15 years to life for each count if he is found guilty, according to authorities. His bail has been set at $1.3 million. The crimes, according to Los Angeles police, are believed to have been committed in 2008, 2009 and the most recent in 2013. The victims are currently 5-, 10-, and 11-years-old, but were 5 to 8 years old at the time of the alleged abuse, according to police. Because Ramos worked at the childcare center he co-owned, police believe there could be more victims. The “Cano & Ramos Child/Day Care Center,” located in an apartment building on the corner of Mott Street and Pennsylvania Avenue, has been closed down by childcare licensing authorities, but on Monday, banners advertising the business were still on display as news crews arrived to the talk to local residents. Ramos’ partner in the daycare business is not a suspect, Hollenbeck Captain Anita Ortega told EGP. Neighbor Crispin Morales said he saw police at the location last week but didn’t know what was going on. He figured they were responding to a domestic violence incident somewhere in the immediate area, he told EGP. Morales said he was shocked to learn about the alleged molestations, and said childcare licensing agencies need to perform better background checks to prevent children from being harmed. Another neighbor, college student and aspiring teacher Hugo Morales, said he was surprised and shocked to hear that Ramos, who has two small children of his own, was accused of harming children under his care. “I never would have imagined something like that, it’s very concerning,” he said. Morales told EGP he saw parents dropping off their children and picking them up all the time, and he sometimes saw Ramos playing in the street with his two children. He thought Ramos was a good dad, he said. LAPD has released a photo of Ramos and is urging anyone who might have additional information or who might know of additional victims to call LAPD Det. Steven Juarez at (323) 342-8994, or to file a report at the LAPD Hollenbeck Station, 2111 E. First St., Los Angeles. 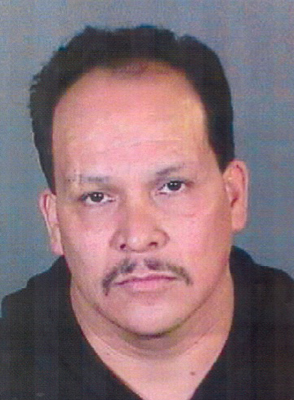 Ramos is due back in Los Angeles Superior Court on March 25 for a preliminary hearing. its so nasty how people could even think of doing something like this to kids. Iam scared to send my daugther to child care,head start.school because you never know who you could trust. What is going on with this people. Theres chile molesters all over los angeles the sad part is that all these child molesters are old men that have kids of there own. I just wish they could get rid of all these people!!! NEVER LET THEM OUT OF JAIL!!!!!!!!! Once a child molester always a child molester!!!!!!!!!!!! IAM DISGUTED I CANT BELIVE THIS!!! STOP ALL THIS!!!!!!!!!!!!!! !